Apple overtook HP to become the top mobile PC vendor worldwide in the second quarter of 2011, according to stats released by DisplaySearch. The report, which includes figures for both notebooks and tablets, claims that Apple represented 21.1% of the second quarter's mobile PC shipments. Cupertino shipped some 13.6 million mobile machines (nearly 80% or 10.7 million of which were iPads), marking an increase of 107% on-year. HP trailed in second representing 15% of the world's mobile PC shipments with 9.7 million units, while Dell and Acer clashed over third place. The former outfit won by about 500,000 units, having shipped 7.5 million mobile machines, accounting for 11.6% of the pie, and the latter moved 7 million systems with a 10.9% share. Lenovo occupied the bottom of the top five chart with about 7.5% of shipments, which equates to 4.8 million systems. Overall, 64.4 million mobile computers were shipped in the second quarter, up 10% from the previous quarter and 28% from the year-ago period. Although the mobile segment remains fairly strong, that's mostly attributed to the ongoing popularity of tablets. Few companies witnessed strong growth in laptop shipments with Samsung and Dell being the exceptions. Samsung witnessed a 44% boost on-year, while Dell's shipments grew 27%. Notebook shipments have been stagnant with a 2% sequential decline and a 2% on-year increase. By comparison, tablets grew 70% and 400% in the same timeframe. It's no secret that tablets have altered the mobile computing landscape and some of the world's largest PC makers are struggling to ride the waves. Acer recently underwent significant corporate restructuring to focus on such devices, while HP has simply thrown in the towel. Based on iSuppli's predictions, the world will continue to shift away from full-fledged PCs in favor of accessing the Internet through Web-connected electronics such as TVs and game consoles as well as companion devices like tablets. 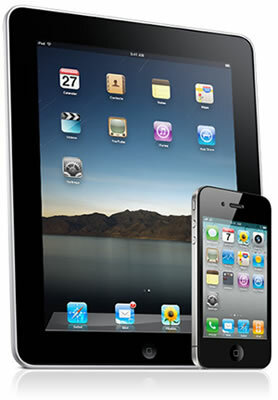 By 2015, iSuppli believes shipments of Web-ready consumer electronics will skyrocket to 780.8 million from 161 million in 2010, and more than 300 million of those devices will be tablets such as the iPad.